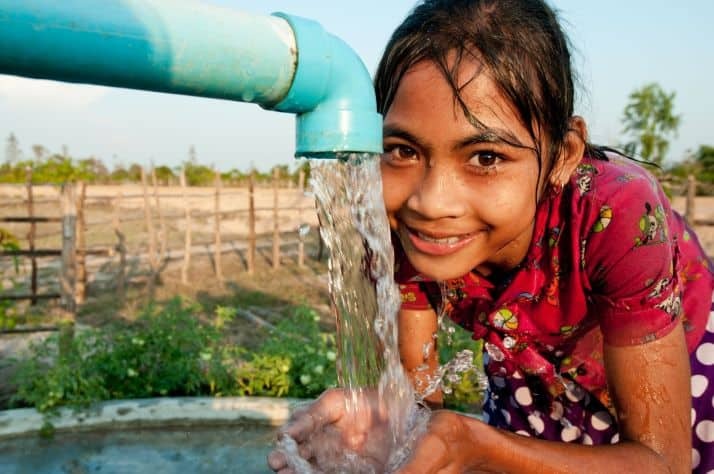 An Airdrie resident is traveling to Cambodia to construct water filters with Samaritan's Purse and provide clean water. Airdrie’s Karissa Noselski just landed the job of a lifetime. The 23-year-old departed, June 21, to Cambodia on what is sure to be a life-changing internship with Samaritan’s Purse. During the seven-month internship, Noselski will be stationed in the country’s capital of Phnom Penh and will be going out to rural areas to build water treatment filters and educate people about the importance of sanitation and health practices. The result, said Noselski, can be ingestion of microorganisms and disease-causing bacteria that can cause illness. “The main problem is diarrhea,” said the George McDougall High School graduate, explaining every 20 seconds a child dies somewhere in the world from bad drinking water. Noselski and her team, along with those receiving the help, will be constructing the filters-which cost about $150 to build-from layers of gravel and sand and a biological layer. Afterwards, water will be poured into the filter, where it will seep through and be purified. The young woman, who was raised in Airdrie after moving here at six years old, said she is especially interested in poverty alleviation and international development. Noselski holds a bachelor of community design with a double major in urban design study and sustainability from Halifax’s Dalhousie University. “I have always been interested in international development and waste and water management,” she said, explaining her university studies cemented a desire to work to alleviate poverty and aid in world development. Although she is uncertain about where this job will lead her, Noselski, who is a world traveler, having backpacked in Ireland and completed a semester in Australia, is excited about the opportunity to immerse herself in the culture of Cambodia.